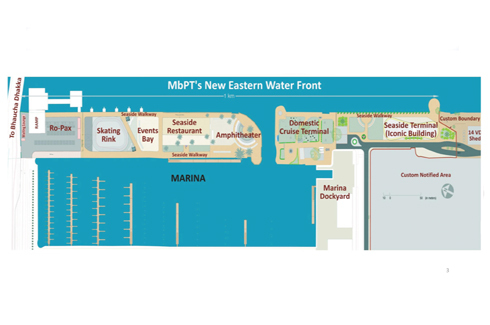 Mumbai Port Trust’s grandiose vision to develop the Eastern Waterfront is possibly the last hope citizens of Mumbai have to get the much needed public spaces and amenities that they so desperately lack. 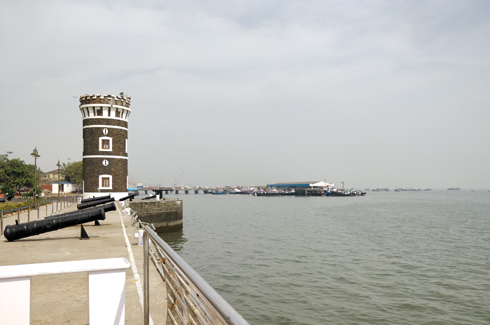 The Mumbai Port Trust area spans about 10 kms along the Eastern Waterfront and is one of the best waterfront properties located in the heart of Mumbai city. Due to the shifting out of commercial port activities an area of about 500 hectares has now become available for reuse. 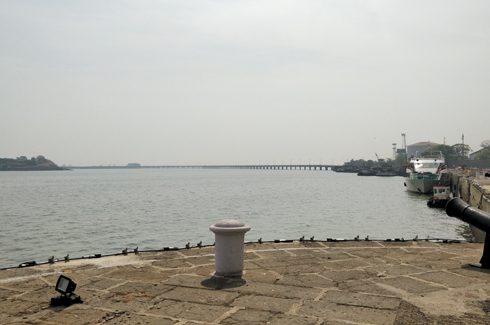 This underutilized land offers a historical opportunity to fulfil the demand for public space for citizens of Mumbai. It can create the much needed social and recreational public amenities that the city sorely lacks. 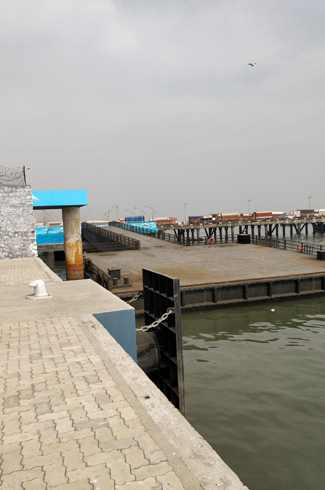 The master plan for the Mumbai Port Complex (MPC) has been proposed to meet dual objectives – of repurposing port lands and integrating it with the rest of the city to provide public spaces and facilities to the citizens. However, it also proposes to develop a new financial centre, a Government office, hotels, commercial as well as residential properties in close proximity to the proposed metro line and the existing sub-urban railway stations. 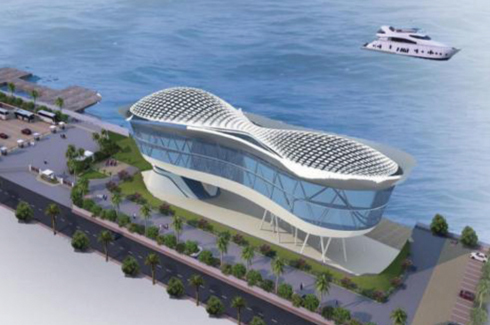 The waterfront area is proposed as a tourist and recreational zone which will have features such as the Mumbai Eye, Tourist Ferry Services, Cruises and a Ropeway Connection to Elephanta Caves (proposed to be the world’s longest ropeway of about eight kilometres) among other things. 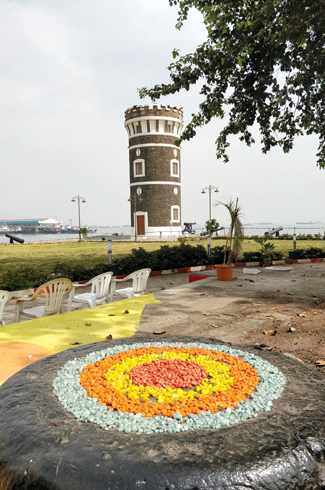 The project also aims to preserve heritage structures like the Sewri Fort, Ghadiyal Godi (Clock Tower) as well as the environmentally sensitive mudflats and mangroves that attract flamingos and other flora and fauna. The Eastern waterfront layout has plans for an amphitheatre with a seating for 250 people, a 2500 sq. meters skating rink, a scenic walkway for jogging, cycling and other activities and many floating seaside restaurants, two of which are already up and running. 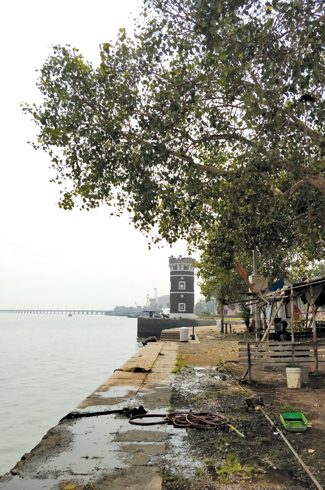 There are also plans afoot to create a 300 acre ecological park for the preservation of the Sewri mangroves where the mudflats harbour a flamingo habitat alongside a heritage fort. A central park of over 136 hectares will also be made at Haji Bunder and Sewri which will be the future lung of this green megapolis. The idea is brave enough to make this park comparable to the world famous Hyde Park in London! In addition ‘Sea tourism’ is also high on the agenda. 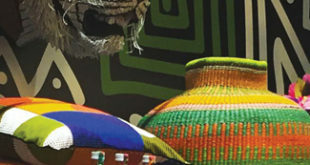 Along with support from the Indian tourism board, the International and Domestic cruise terminals are already in play. The international terminal is an ambitious project that is already operational (a functional building is active while a swanky new building is currently being constructed) and welcomes cruises from Europe, Maldives, Sri Lanka and other parts of the world. 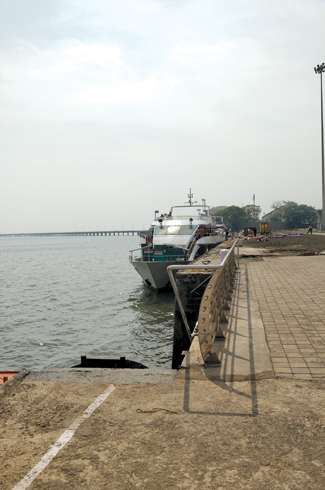 The Mumbai port is expected to handle seven hundred cruises this year. The domestic terminal is also already operational with routine travel happening from Mumbai to Goa. 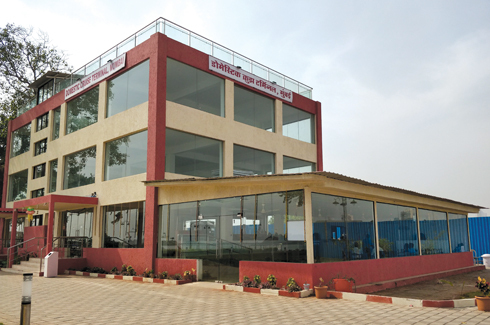 Plans are underway to make connections to other Konkan and Gujarat ports. A one kilometre long integrated transport hub is also in the pipeline which will have modern amenities in addition to the Ro-Pax terminal to dock over hundred yachts and also an exclusive Marina Hospitality Centre. This will be located at the Princess Docks. Due to all these developments, the expected increase in the vehicular traffic has also been foreseen and an evacuation plan to control that is in the making. This plan covering an area of seventy hectares with new road links of 1.5 kilometres is being developed to provide parking facilities for five hundred cars. This will also re-design the traffic flows to Indira Dock and the OCT terminal with independent entries. A full new connectivity between P.D’Mello road and MOD link road near the Ganpati temple shall be a part of this project. A substantial amount of work is already complete and the new traffic flow is slated to be operational in a few months. Additionally, the lofty ambitions continue in the development of ‘Kanhoji Angre’, a beautiful pristine island with a heritage lighthouse. 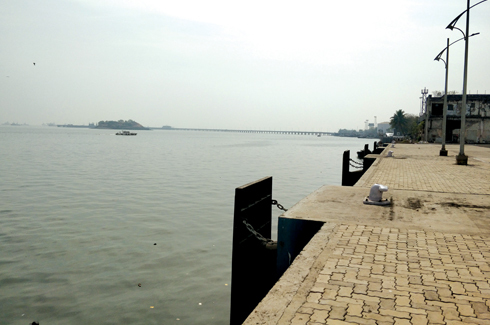 Even though it is located in Mumbai, it sadly hasn’t been accessible to people but now, with a jetty along with other internal facilities being built, this will truly become the ‘it’ venue for heralding new opportunities of leisure and adventure. 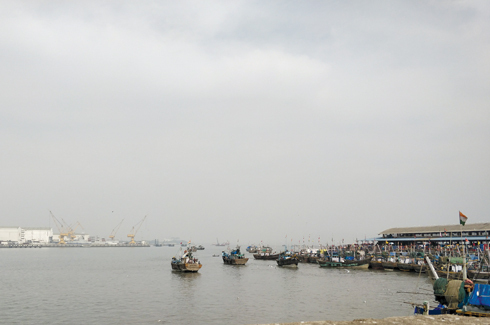 The famous Sassoon docks, known only for its stench and fresh catch markets will be transformed into four phases; a new fish market, crèche and healthcare facilities, an amphitheatre, an open exhibition space and multi-cuisine restaurants. It will cover a total area of approximately 13.45 Ha. 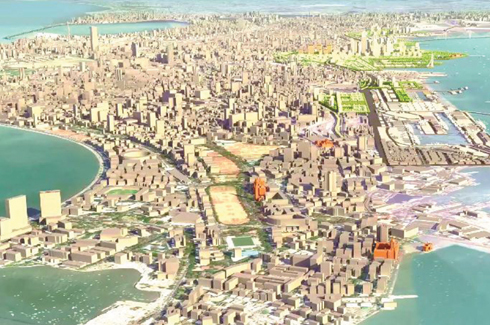 The future development will also open up multiple east-west street connections to connect Mumbai to the Eastern Waterfront.Of these proposed developments, some of which are already complete and functional, some of which are on-going and many still waiting for the necessary approvals, the vision that Mumbai Port Trust has for Mumbai is nothing short of revolutionary. To use Mumbai to its true potential with its actual strength-‘water’, the intent is ambitious enough to be at par with most of the developed countries of the western world. Lets just hope that all these public amenities and facilities see the light of day and this proposed ‘green-blue’ escape for Mumbaikars doesn’t get overrun by a dense concrete jungle.